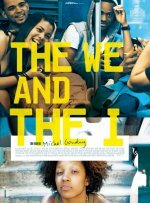 The We and the I release date was Friday, March 8, 2013. This was a Limited in theaters release. A coming-of-age drama, which takes a look at a group of kids who, on their last day of high school, ride the same bus home to the Bronx, New York. The bus ride becomes a significant one, as revelations unfurl, relationships unravel and the friends learn a whole lot more about each other.